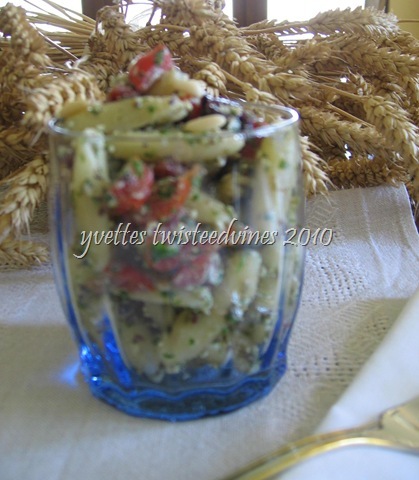 Recipe: Pasta Salad – cavatelli with rocket pesto. 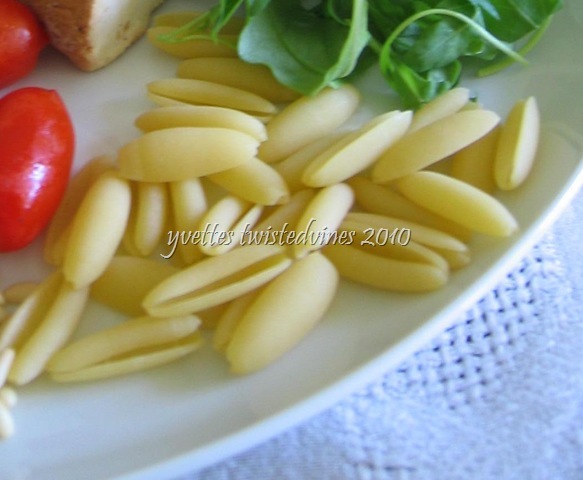 Cavatelli is a pasta originally from the region Puglia, Italy.It’s hand made, forming a hollow rod shape about 3cm long with curved edges. This hollow form is great for capturing sauces,it can be purchased fresh or in dry form.As I’ve used for this recipe. Prepare the pasta, as directed on package, this pasta in dry form, usually takes 9 minutes to cook, drain and wash with cold water immediately to stop the cooking process, leave aside. Prepare the tomatoes. 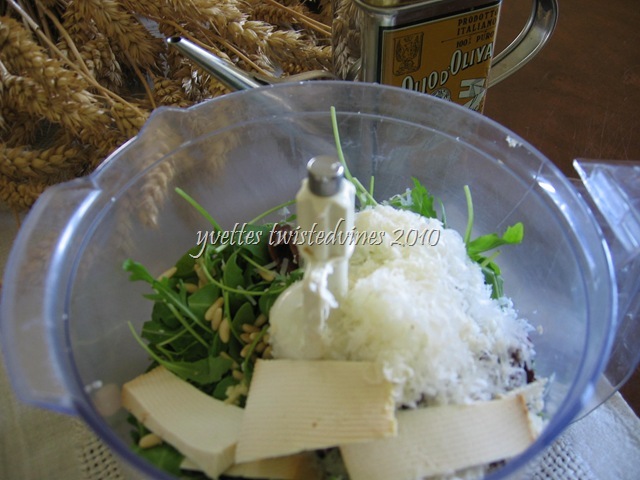 Slice long ways,cleaning out the centre,this takes time but is worth it…by de-seeding the tomatoes you don’t add water content to the salad.Place in mixing bowl. 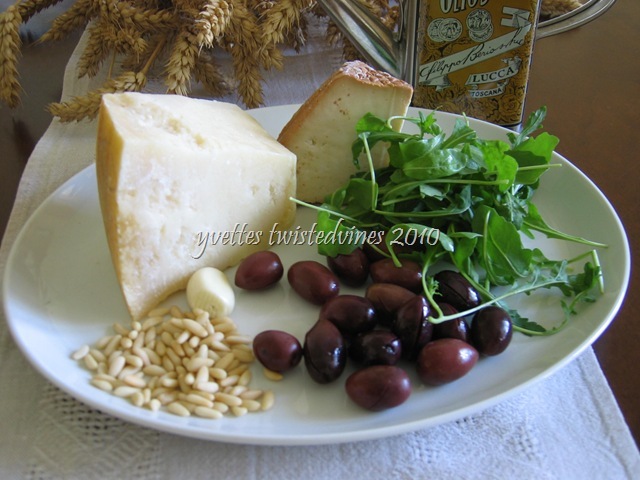 In mixer add rocket,smoked ricotta,parmesan,garlic and olives. 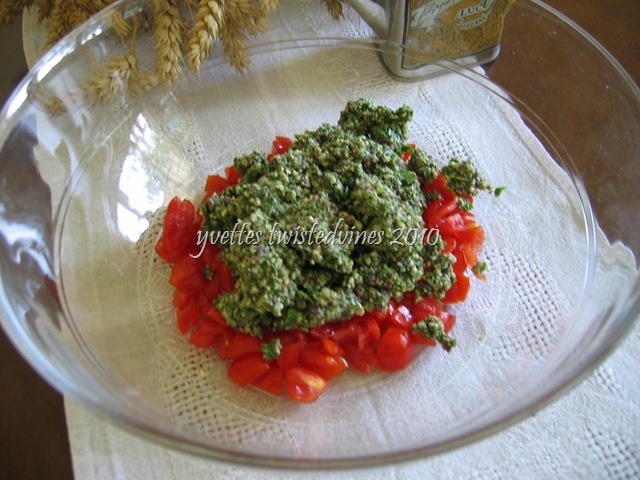 Blend to form a paste.Add to tomatoes. 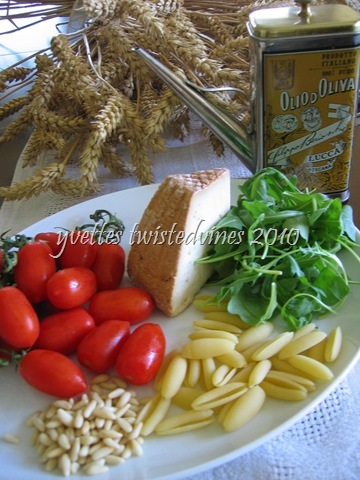 Add pasta, and mix well.Add olive oil,salt and pepper freshly grounded.Add additionional whole pine nuts, and pitted kalamata olive. A great Summer Lunchtime treat. It looks so healthy and delcious! I think I will try it soon. I love those pictures. They are so beautiful. Thanks Tes for calling by. Thank you, something quick for this hot weather we’re having! I always have a cupboard full of a variety of teas…too bad we didn’t live closer to share a cup! I will think of you the next time I enjoy a cup of tea. The biscuits look great and now I have to make some! 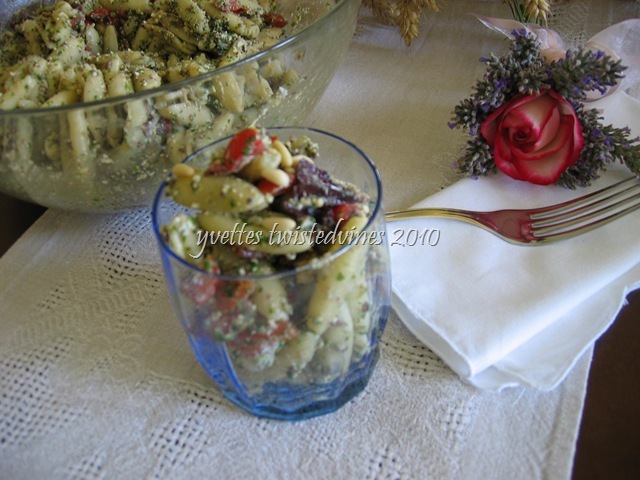 Oops, mistakenly posted under the Pasta Salad, but with our hot weather also you have provided me with another great food idea..always thank you for sharing!